The Panorama Triplexer can either combine the signals from 3 antennas to a single multiband radio or split the signal from a tri-band radio to three radios. There is no need for switching or matching as the TPX-VH-UHF-BA-BNC will automatically split or combine UHF and VHF to route them to separate radios. 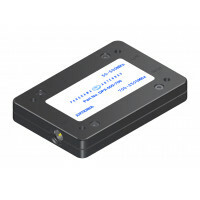 This compact unit requires no power cables and can easily be installed in the roof lining of any vehicle or mounted next to the radio. 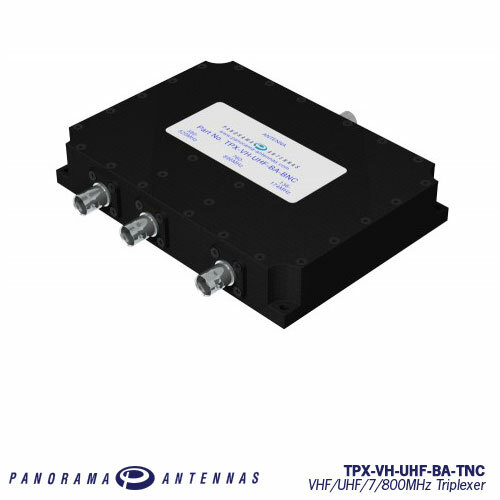 The TPX-VH-UHF-BA-BNC is ideal for tri-band and multifrequency installations.